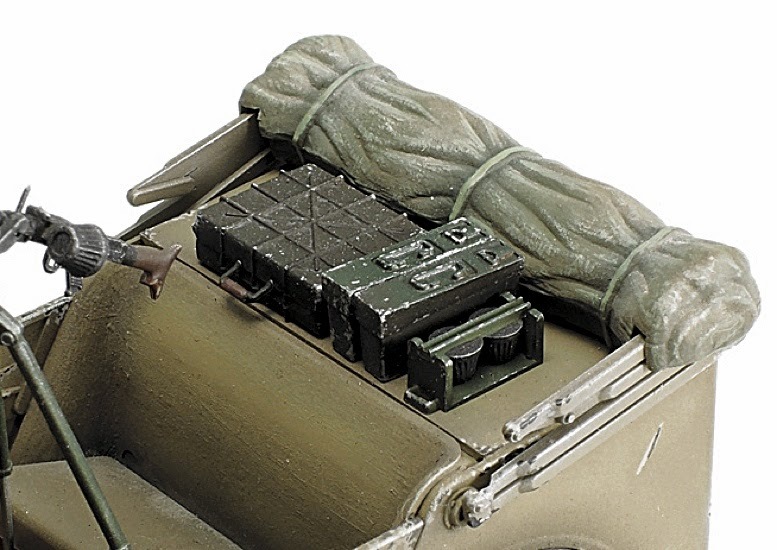 A neat model from Tamiya, depicting the World War II Horch used by the combat forces of famed German commander, Irwin Rommel, in the sands of North Africa. 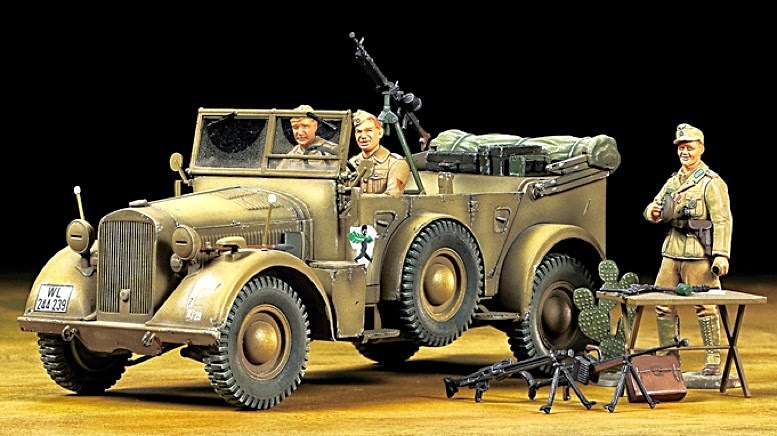 SMN report: This is a 1:35 scale kit that builds to an assembled length of some 137 mm (5.4 in) and width of 54 mm (2.1 in). 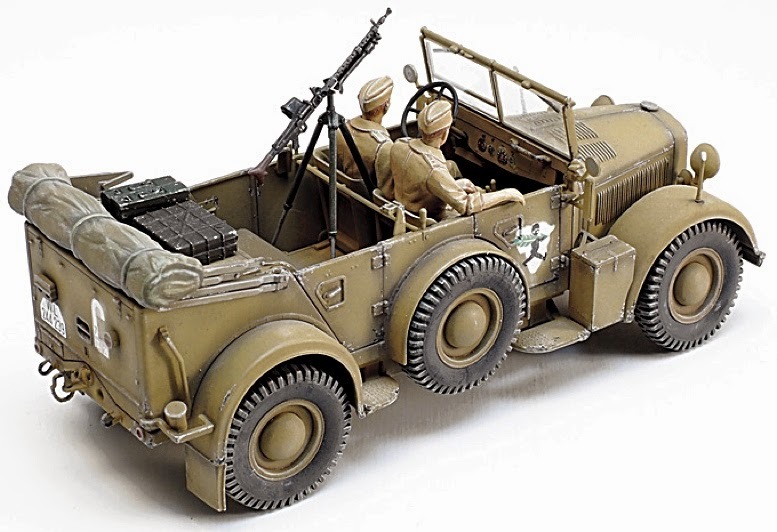 Although the kit carries the Tamiya banner, it is actually an updated version of a previous Italeri production. However Tamiya’s designers have breathed new life into the Italian original, by adding some new-tool components, and accessories. 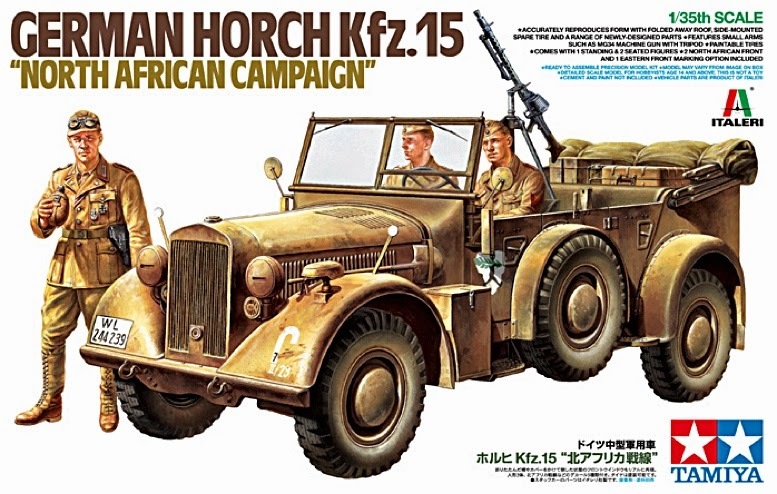 The Horch 901 Kfz 15 was widely used by German forces during World War II. A versatile four-wheel drive vehicle, it had fully-independent suspension, and could carry the driver and four passengers at speeds of up to 90 km/h (56 mph). The Kfz 15 was produced from 1937-43, and was used widely in both Eastern and Western Fronts, and the Balkans. 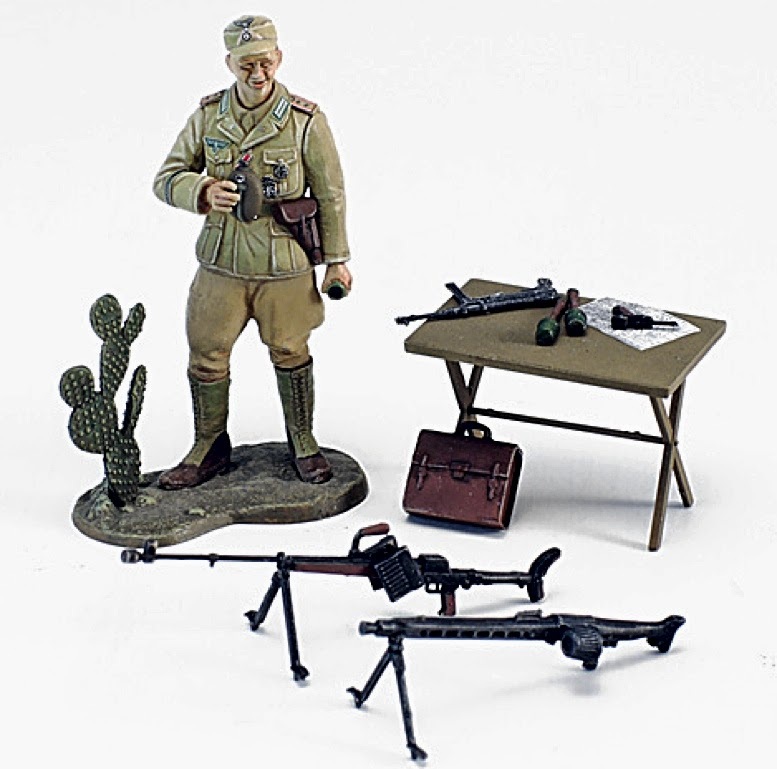 In North Africa, Rommel’s Afrika Korps used it widely during their running battles with British forces. Click here for useful Horch 901 reference pictures. Click here for Mat Irvine on Rommel's Rod hotrod kit.